We install, configure and maintain all Windows Workstation and Server Operating Systems and Server Applications. We are Microsoft Office 365 Advisors. Let us show you how to save money on Microsoft Office Applications. We can also help you to utlilize Exchange Online, One Drive, Azure Servers and other Cloud Solutions from Microsoft. We are an Altaro Backup partner. Altaro offers backup software specifically for virtual servers that give an affordable way to manage onsite and offsite backups of your Microsoft Hyper-V Virtual Servers. 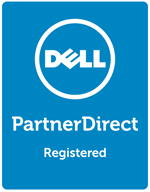 Our Partnership with Dell provides quick access to high performing, reliable servers for your business.